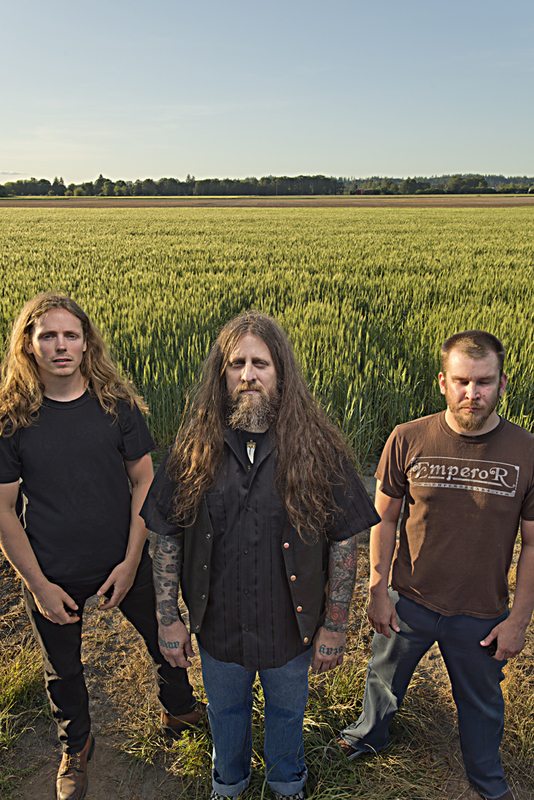 Long-running, psychedelic doom conjurers, YOB, are readying to kick off a near month-long North American headlining tour with support from San Francisco riff peddlers, Black Cobra. Set to kick off on October 22nd in Boise, Idaho and run through November 21st in Oakland, California, the trio will conquer the stages of over two dozen venues including a special performance at this year’s edition of Philip H. Anselmo’s Housecore Horror Fest in San Antonio, Texas. As an added bonus and in celebration of the record’s ten-year anniversary, fans attending the November 5th show at Bell House in Brooklyn, New York will pay witness to the band’s performance of 2005’s mammoth The Unreal Never Lived album in its rumbling entirety. Additionally, YOB will appear at Sabertooth Fest 2016 in February in Portland, Oregon which includes the likes of Super Furry Animals, Earth, King Black Acid, Red Fang, Witch Mountain, Eternal Tapestry, Built To Spill, Mikal Cronin with Emmett Kelly, Fresh & Onlys and Snakes! 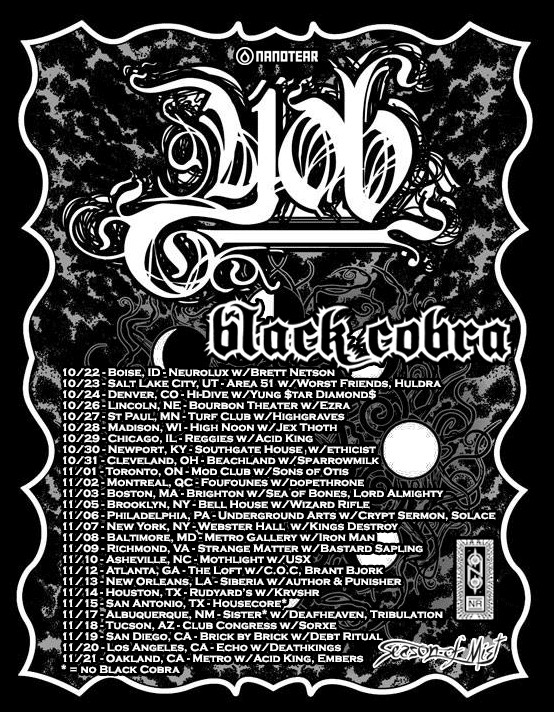 YOB continues to tour in support of their universally-adored Clearing The Path To Ascend full-length, released early last Fall via Neurot Recordings. Recorded at Gung Ho Studio in Eugene alongside longtime YOB comrade/iconic sound wizard, Billy Barnett, and mastered by Brad Boatright (Sleep, Beastmilk, Nails) at Audiosiege, Clearing The Path To Ascend topped Rolling Stone’s 2014 list of the best metal albums and was praised by countless media outlets from Pitchfork to The New York Times. Never before has doom metal been at the forefront of the public consciousness, and it’s easy to see why: though it’s come almost two decades into their existence, YOB have created not just the best album of their career – they’ve manifested what will come to be regarded as one of the defining records in the pantheon of doom metal. YOB’s Clearing The Path To Ascend is available now via Neurot Recordings HERE.